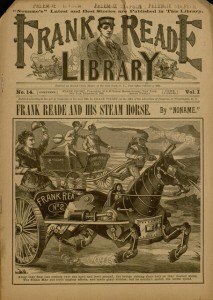 Falvey Memorial Library :: Dime novel conference coming to Falvey! Dime novel conference coming to Falvey! If you have been following this blog, you will have noticed a lot of activity related to dime novels ever since we discovered our forgotten 19th-century collection. The latest development is the announcement of a free, day-long conference devoted to the subject. 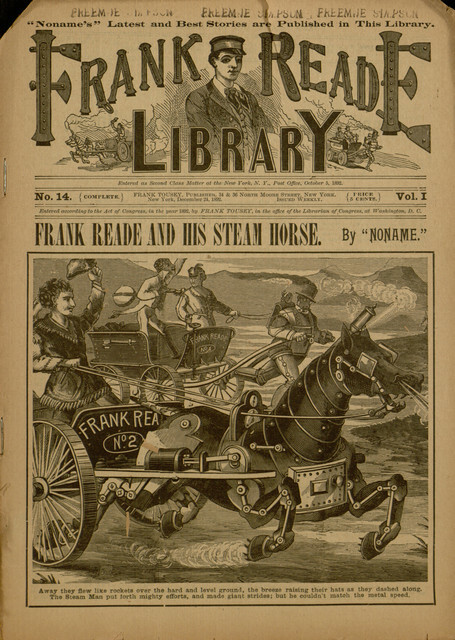 Paper for the People: A Conference on Dime Novels and Early Mass Market Publishing will uncover some of the fascinating early history of commercial entertainment “for the millions.” Highlights will include an examination of the origins of science fiction in “steampunk” dime novels, courtesy of expert and world-class collector Joe Rainone; a tribute to legendary bibliographer Edward T. LeBlanc; and the unveiling of a new library exhibit featuring some fascinating rarities. All are welcome — if you are interested in attending, please register at the conference web site. We are also still accepting proposals for presentations, should you have a special interest in the subject!